People may say that they work or had chosen their profession because it is what they had always wanted to do, but many may also admit that are working to make ends meet, buy what they need and want, get to places and of course provide for their family. Well some jobs are very rewarding when it comes to salary and also in-demand nowadays, of course it takes hardwork and patience. This is the most paid job over all yet before you jump right in, be mindful that it is no easy task to be a certified physician with a license. You must take a four year undergraduate program, another four years in medical school and around 8 years of internship and residency. It requires diligence, money and a lot of sleepless night, but it usually does pay off as the average salary is $188,440.. It is no secret that most kids do not feel excited to visit their dentists, but as they grow older they tend to go to the dentist office to put on braces, have their teeth cleaned and get them free from tooth decay. Dentist are considered as doctors in many countries and it takes five college years. They are well compensated with a salary of $164,570.. They are the ones who make products ans services more desirable for a certain age group or sometimes in a certain place. The make plans so the products and services will be sold to consumers in the best way possible. Around $133,700 is their average salary. An organization’s information technology and computer-related activities must be properly coordinated with devised security strategy. This is a responsibility of an IT Manager together with budgeting of hardware and software, and hiring IT personnels in the organization. 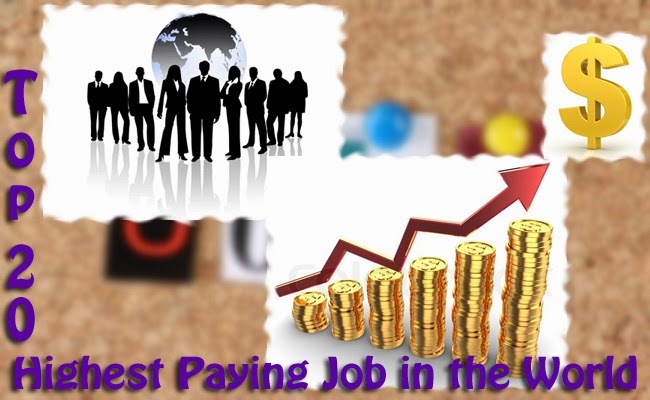 It may be a hard task but it also pays well with average salary of around $132,570. It is no secret that lawyers are in demand nowadays as many are becoming aware of their rights. The lawyer’s pay could be depending on his or her experience, specialty and location. It may also depend on how large the firm he or she is working in. A lawyer’s salary could be around $131,990, a great compensation for 10 years of studies. They are the ones who oversee the financial part of the organization. They make plans and set goals to maximize the profit of the company. This is a stressful job but a very well compensated with an average salary of $126,600. Managers are the ones who analyze the trends, plans, sets goals and execute strategies to reach the set goals. They are the ones that help sell the products and maximize its selling potential. Their average salary is $123,150. They are the ones who handle your medicines, helps you with your recuperating process and also concerns of your general health. Their jobs are critical as it is also involved in health. Their average salary is $116,500, a good compensation for learning those medications, the effects, contraindications and adverse reactions. This is not an easy job to get, it takes years of experience with managing people. They have good leadership skills aside from the ability to exceed the employer’s expectations. While it is hard it pays well with an average of $116,090. An art director must be able to do multitasking as he or she has to handle public relations, business, duties relations and marketing. There is no need to be artistically inclined but you must be a diligent worker as the average pay is $96,650. This is always on the list of the best jobs every year because the salary is great, it is challenging and an in demand job. Those who develop, design and engineer somputer apps are up for a good compensation with an average salary of $96,260. More and more people are becoming animal lovers and being a veterinarian is now a good choice. It does not only require to take care of the cute and cuddly but also the ones that are not so cuddly. Their work does not only affects the animal owners but also the food and sanitation of the community. Their average salary is around $96,140. The scope of the nurse’s reponsibilities varies by state but they are always responsible for the patient’s quality care, physical exam, counseling on proper treatment, running diagnostic tests,prescribe medications and analyzing results. They earn an average of $95,070. They have to take a bachelor’s degree then get into a post graduate program just to be qualified to give physical exam to patients, analyze, give diagnosis, prescribe medications, counsel and monitor the patients’ treatments. They have an average salary of $94,350. According to the Department of Labor, the demand will increase for this job position. People now are becoming conscious with their privacy and wary of hackers who can breach their privacy. The receive an average of $91,210 as their salary. They have the specialized skill and they can develop machines to help us improve our lives. Their skills and creativity is paid well an average of $85,930. They might be specializing with transportation system, infrastracture or geotechnical foundatins with in depth design, enough knowledge to make a safe plan and dedication to researach. Whatever the specialization they are assured of a good salary averaging in $85,640. They are on the middle ground of IT department and business part. They are knowledgeable with business industries and also know anout the computer system. They are pain with an average of $85,320. They coordinate, budget and supervise the construction project. They have a great deal of experience and knowledge in construction because they could have started as simple construction workers who worked hard for a promotion. The average pay is $84,410 as of 2013. They help the patients with injury or illness to rehabilitate, regain strength through painful process and recuperate. They may assist with simple gym activities or with an extensive training. The average salary of $82,180 could be enough to compensate with the hardship of getting the PT degree.